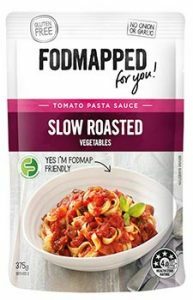 Simply cook your favourite low FODMAP pasta. Pour pasta sauce into a medium saucepan. Heat over med/high heat for 1-2 minutes, giving it a regular stir. 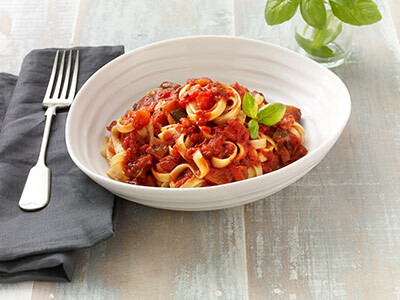 Pour over your cooked pasta, stir through and enjoy! You might also like to saute 200g of lean diced chicken or lean beef mince in a large frypan until cooked or heat canned tuna in a frypan until warmed. Add pasta sauce and cooked pasta as above.